The National Library Services (NLS) offers a free braille and talking books library service program for veterans and residents of the United States. By law, veterans receive preference for these library services. Veterans and residents with temporary or permanent low vision, blindness, or a physical challenge that prevents them from reading or holding the printed page are eligible for special reading materials and library services. The Rhode Island Talking Books Library (TBL) provides these services to local veterans and residents with its accessible library resources. If you believe you may be eligible (Eligibility Requirements) for this program, please fill out a TBL Application Form to take advantage of the services TBL provides. 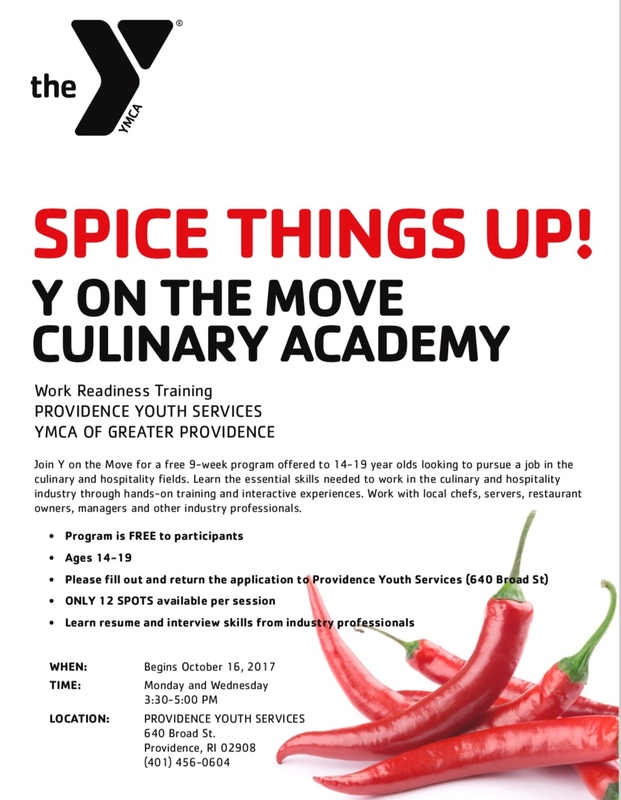 Last chance for teens 14-19 to sign up for our Culinary Academy work readiness program! The program meets Monday and Wednesday from 3:30-5:00pm at Providence Youth Services (640 Broad Street). We still have openings and we would love to fill those positions before next week! Food tasting, snacks and dinner included at every session! Teens can stop by our branch to fill out or drop off the application. We will continue to accept applications until the program is full. If you would like request SNAP Outreach workers to visit your site to help clients apply for SNAP, or to schedule a SNAP training for your staff click here. Each year on October 1, the federal government adjusts the Supplemental Nutrition Assistance Program (SNAP) income guidelines used to determine eligibility. Below are the 2017-2018 gross and net income guidelines for SNAP. As a result of these changes, we’ve updated our outreach materials. Please be sure to take down any outdated materials in your location, and replace with the updated materials. You’ll find links to the documents below. If you would like to request any of our print materials, please fill out the form here, and for the complete list of available materials, click here. How to access case information through the DHS Automated Information line*Please note that the changes to the Automated Information line reflected in this flyer will go into effect in early October. 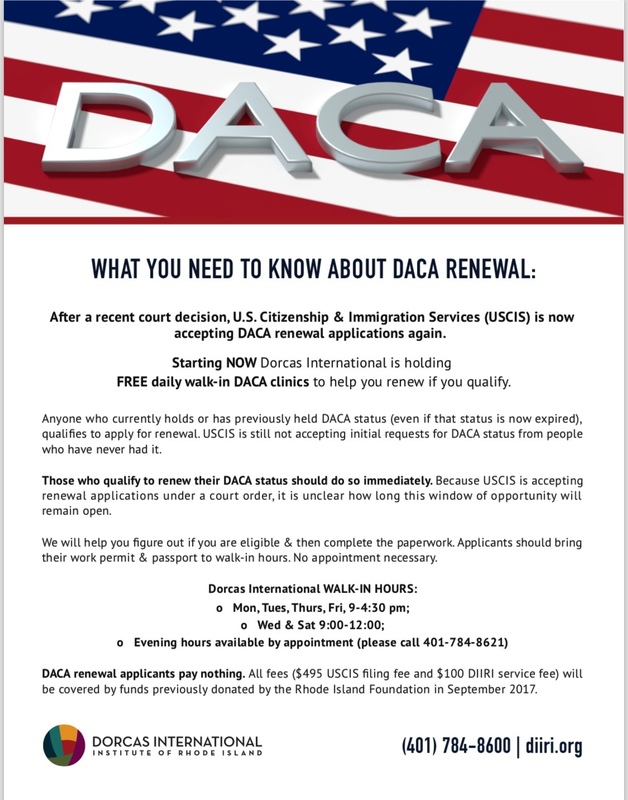 After President Trump’s latest action on DACA, do you: Need to renew? Have questions? We can help you renew for FREE. 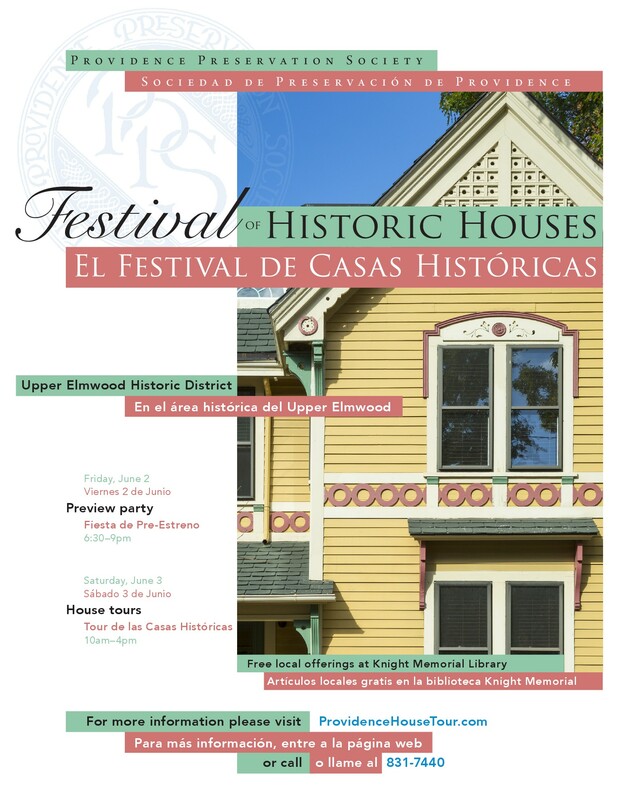 Don’t miss the Providence Preservation Society’s annual Festival of Historic Houses on Saturday, June 3, which focuses on the Elmwood neighborhood this year. 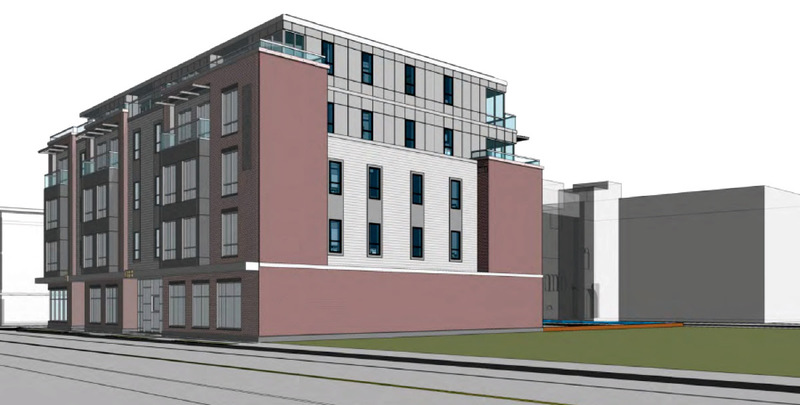 And the Preview Party the night before will give you an opportunity to take a close look at the Webster Knight house just down the street from Knight Memorial Library. Some of the proceeds from this event will be donated to PCL for the preparation work needed to restore Knight Memorial, so please help spread the word.